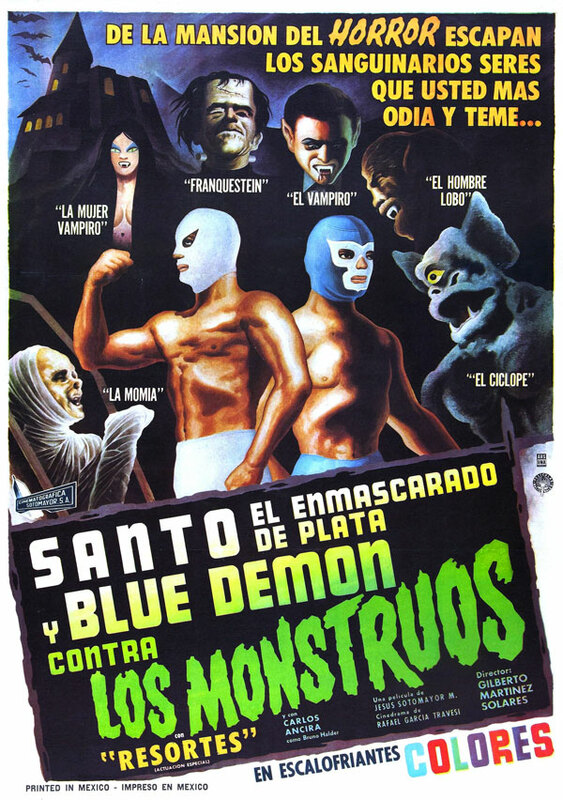 I’ve thought more about the World Wide Wrestling/ Monster of the Week mash-up campaign I mentioned in my last post. I’ve sketched what you’d need to do for conversions. On the WWW side, everything stays the same. You don’t have to make any changes. On the MotW side, I decided to go with archetypes. Some feel a little more cartoony than others. The Keeper may want to narrow the choices. I’m leaving out four playbooks: The Divine, The Flake, The Initiate, and the Spell-Slinger. You could use these if you wanted something closer to straight MotW. I may go back to see if there’s anything we can steal from those. Look and such should simply cross-over from World Wide Wrestling, the same for History. The Keeper may want to have everyone define an experience or encounter they had with another Hunter in the field. Go to the left so everyone has a connection. Rewrite Weapons and Gear to be wrestling appropriate. No firearms, no long blades, etc. Redefine these as other forms or as special wrestling moves (complete with tags). Limit characters to one Far tag, usually to represent a thrown item or gimmick attack. Besides their normal moves, each hunter gets a “Wrestling” move. 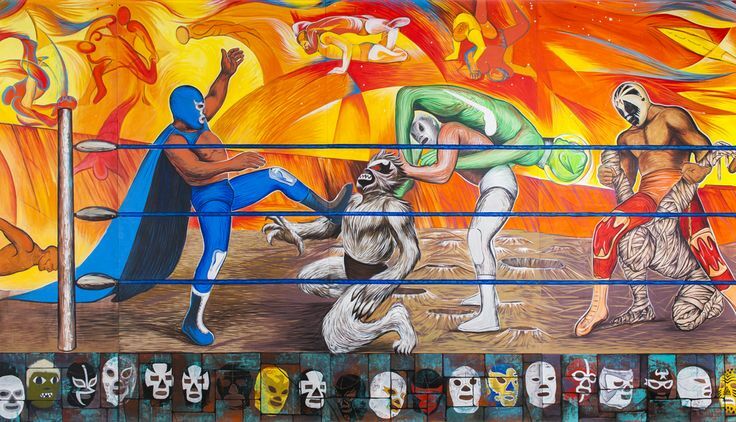 Most of these we’ll lift from the excellent Luchador fan playbook. Written by Reid San Filippo, you can find that here. Players can pick from: Consummate Athlete, Flesh Wound (for Machismo! ), Daredevil Move, Inspiring Speech, Heel (for Sly Rudo), and Fan Following. Tag-Team: When you Help Out your tag-team partner, you give them +2 Forward instead of +1. If your team splits, you can’t use this until you establish a new partnership. Social Media Master: You may Cut a Promo during the Monster of the Week episode. You Snapchat, Vine, Tweet, or whatever to generate excitement among your audience. Roll +Charm for this. Cage Match Specialist: When fighting a monster in an enclosed or limited space setting, your attacks always count as a weakness against those monsters. These attacks are 2-harm intimate messy. The Keeper may make these unique, so each can only be taken by a single hunter. I picture this as someone who had a mantle passed down to them: parent to sibling, sibling to sibling, mentor to student. If you’re going for a classic Luchadore version of this, then the character receives the mask marking the legacy. You might step away from the family/ person connections and have the inheritance based on obtaining a special or magical item. I imagine the Heir as more likely than others to have a conventional weapon, with a special material. It becomes more awesome if that still echoes illegal ring weapons (a bat, brass knuckles, a chain, etc). The moves stay the same. The player and Keeper should talk about the fate elements. You’ll probably want to tweak your doom in keeping with the tone of the game (Supernatural vs. Scooby-Doo). Your character has a criminal background, so you’re the thief or con-man of the team. Under background, read Assassin as Hired Gun, with the idea that you might have been employed to fix real matches. Eliminate Artifact, Crew, and Made as move options. Players may choose as starting moves Backgrounds they didn’t initially take. This character’s the know-it-all armed with a smattering of occult lore and scholarship. The difference is that the Haven is a vehicle, the Mystery Machine: a semi, van, camper, airstream trailer, etc. The Panic Room option should be read as heavily armored, making it harder but not impossible for people to get in. The Expert has a new Haven option, Inconspicuous. This means the vehicle looks super ordinary, doesn’t seem out of place, and is forgettable to witnesses. Of course, the Mystery Machine can get low-jacked or towed. The Expert can roll the Mystery Machine into a combat situation, but the Keeper then has room to hit it with a move. The Keeper will want to look carefully at this one. The group should decide if it fits with the tone they want. If someone takes the Monster, then the Haunted (Spooky) should be taken off the table (and vice versa). The player and Keeper should develop the Monster type. The one caveat should be that the character must be able to sell the monstrous form as their gimmick in the ring. So as cool as a Werewolf is, that may be too much. You could define a player’s monstrous nature as half-breed, making them appear more human. I’d probably take the Faerie and Ghost type off the table. But consider Mummy, Frankenstein, Mutated Hench, or Cyborg as new options. The Keeper will want to look carefully at this one. The group should decide if it fits with the tone they want. If someone takes the Cursed, then the Monster (Monstrous) should be taken off the table (and vice versa). This Hunter has a dark and dangerous connection to the supernatural. They’re sinister and unsettling. We’ve seen wrestlers with these gimmicks before. The Undertaker and his Ministry of Darkness’s the most notable. I’m guessing anyone playing the Cursed will be a Heel in the ring. The newest member of the Hunter team, they likely got roped into this by accident. The Agency defines the people holding the leash behind the scenes. Are the hunters stringers for a larger anti-supernatural group? Hidden agents run by a rogue handler within a conventional agency? Given direction and assignments by a shadowy supernatural figure? Imagine this less as a formal agency they belong to and more like a patron group. Alternately, the Keeper may have the player skip defining the agency and simply call it the Deal with Your Benefactor move. The Vet has been at this a long, long time. They’re probably older, more grizzled, or crazier than their fellow hunters. They’ve lost someone in their long career and that pushes them on. The Action Scientist is a playbook written by Michael Sands as an homage to Atomic Robo. I imagine this character as the crazy hunter who is always rigging up strange devices and traps. You’ll want to rename and redefine the lunatic gear list here (unless the Keeper wants a full gonzo tone).